When you summon a creature that costs 2 or less, summon a copy of that creature in the other lane. 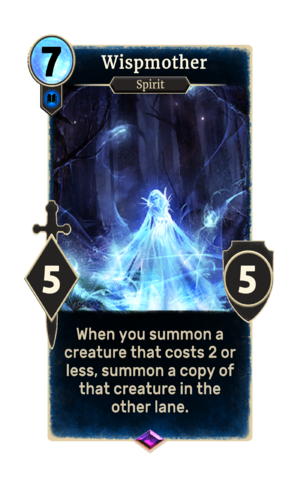 Wispmother is an epic Intelligence creature card. It is part of the Core Set.